Color of the year. It’s become a lot like the Oscars. On and on… one fashion show after another and a chance for advertisers to cash in. Well… the same holds true in the home furnishings and decorating industry when it comes to the almighty “color of the year.” Or I should say, colorS of the year! Someone mentioned to me the other day that they don’t remember this being such a big deal a few years ago. And, so what we end up with is much buzz about not really anything that important, but that’s okay. I love color and I like paint. And close on the heels of that, Sherwin Williams choice of Alabaster. As a designer, I’m absolutely thrilled that both paint companies had the courage to choose two beautiful shades of white paint. For other great shades of white paint, click here. Remember last year’s disastrous (well, IMO) choice of the barftastic Marsala? Yes, the color of dried blood. A color so not in-tune with what is going on in the design industry, it’s as if they went about their business and ignored everyone else. Is that a good idea? One of the hottest tickets in the industry and a stop on the Design Blogger’s Tour is Taylor Burke Home. Julianne Taylor, founder and owner treated us to a fresh, Neo-traditional collection at Wesley Hall of her home accents. Above is a vignette at Wesley Hall featuring Taylor-Burke’s fabulous fretwork chandelier, aptly named “Don’t Fret.” It is just cooler than cool in person. There’s another version which includes a piece called “You’re Riveting.” So clever. For you designers out there, both Taylor Burke Home and Wesley Hall are designer friendly. Another shot of this cool Chinoiserie inspired vignette. Imperial Dragon Fabric by another Highpoint darling–Thibaut. Pantone Folks? Paying attention? I think that your color needs to reflect this combination inherent in these hot home furnishings; that is designs that couple tradition–with FUN. Laurel, would you stop krechitzing already and just tell us what your prediction is for Pantone’s Color of the Year? Oh, sorry… Was I talking too much? Then, tell me if we’re on the same wave-length in the comments. I’ll put in a pretty pic here (love this vignette!) which won’t give it away while you’re thinking. I’m thinking that the most logical choice is a rich deep……….. I mean, with all of that white, isn’t blue an obvious choice? Oh please, please… pretty please? I promise that I’ll only say nice things unless they do a 180 and decide to render us blind. In recent years, I’ve come to adore blue… But it wasn’t always so. In fact, if you had asked me 30 years ago, I’m sure that I would’ve said that I pretty much disdained blue. I don’t know what year they stopped making people wear these abominations, but all I remember is by the time I got to high school, the most exercise I got in “gym” as we called it, was getting into and out of one of these hideous things. Fortunately, I got past it. Now, I’m in love with blue. Here’s an idea for your Thanksgiving blue and white table. Or else, you can just use an orange Hallmark Tablecloth like I did last year. Their Hollywood Regency inspired designs always look amazingly fresh. They always incorporate white and often blue in their work. Is that sectional sick or what! Benjamin Moore HALE NAVY HC- 154 is a good one. I posted this image from Serena and Lily before in another blue post which combined blues with oranges and white. Great combo. Love the wall and especially because of the gorgeous mouldings! But dark shiny blues often photograph much lighter so this could be the wonderful rich HAGUE BLUE by Farrow and Ball. I also love their new color, STIFFKEY BLUE. 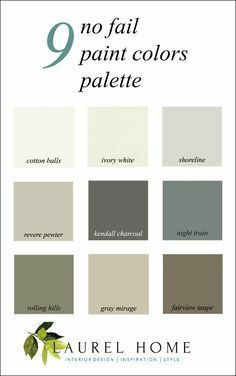 For the closest Benjamin Moore equivalents please click here. Sold. Sorry, but these fabulous faux bamboo chairs were offered by the Parker Kennedy Boys. A Home in Newport, Rhode Island. It’s a fun place to visit if you’ve never been there. Mantels don’t always have to be white. I absolutely adore the antique blue finish on this one. My friend Lisa Mende did a fabulous round-up post the other day about peacock-blue colors. Another wonderful designer-friend, Robin Seigerman of Renovation Bootcamp recommended Benjamin Moore TWILIGHT 2058-10. She said that it’s not as dark as it looks on the chip and is very beautiful. Here’s Michele looking tres dapper in his blues and standing in front of that astonishing fireplace mantel. This is a new hotel he designed in Paris. What do you think of my choice for color of the year? Do you have a different idea? Oh my… Can you believe, it’s going to be Thanksgiving next week?! I won’t be posting until a week from today. I have a special treat for you, so please stay tuned! In the meantime, here’s wishing everyone in the US a healthy, happy Thanksgiving. I am agonizing over paint colors right now and crazily painting samples on swatches. Painters are coming next week and I haven’t found the color I want yet. Your blog is giving me a TON of great tips though. Question: Would you happen to know if there’s a BM equivalent to the color in the Michele Bonan photo? That’s exactly the color I want for our living -dining -family room (it’s an open concept) and we have low light. On my list for paint samples to pick up is Chelsea grey and Iron mountain. After painting our bedroom VanDeusen blue last Christmas, I am no longer scared of painting dark colors in low light rooms. I wish I could help you out but it’s impossible. I’m not there and I can’t see what you’re seeing on the computer and I can’t see your room, of course, either. I’d be working blind. This is no different than a doctor operating on your brain, blindfolded. Fortunately, it’s not brain surgery. :] In the words of a college professor speaking to ME 26 years ago! Chelsea and Iron are both terrific colors, however. Who doesn’t love blue and white together? 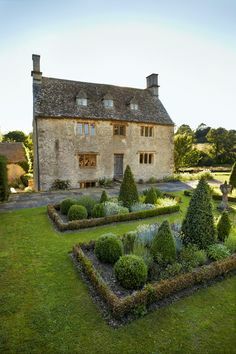 It can be just about anything you want it to be; fresh, dramatic, serene, modern, traditional, casual or formal…but always beautiful and always a classic. Ralph Lauren comes to mind as someone who has been doing blue and white beautifully for years. By the way, who are the Pantone people anyway, and how do they decide what the color of the year will be? That is a very good question. They have a website which can probably explain it better than I can. Pantone is a color system used by many manufacturers to maintain consistency. This made it doubly ironic when the color of the year, especially last year was all over the lot! Yikes, forgot to mention the gym suit. OMG, I wore from grade 7-12, hated, hated, hated! 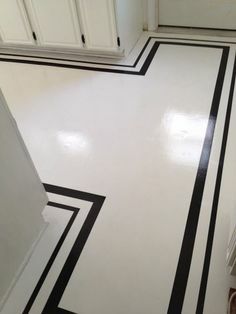 I attended a talk by one of the Benjamin Moore designer reps and she explained part of the reason they chose Simply White was because it goes so well with their past colors of the year. OK – nice, but I feel they could have chosen something more exciting! Thanks for your great posts – I enjoy them so much!! Good choice Laurel, the blues you have chosen are always in good taste. I loved the name, dried blood for Marsala. Here in Houston, apparently everyone loves the color Swine or Hog, It’s everywhere, even in new high end model homes, and on orange peel textured walls to boot. The problem is, the colors and pictures you have shown are all in good taste, which is sadly lacking in the haste to be trendy. I believe good taste and style is very difficult to achieve. Thankfully, there are blogs like yours and Lisa M to help guide us. It’s so funny the associations we have with some things. I’ve had people tell me that a soft gold looked like “mustard.” Or a sage green looked like “hospital green.” Fine, if that’s what they see it tells me it’s not right for them. It’s just interesting. MARIgold! LOL of course! The color does have legs. Check out this bathroom on pinterest. With Marsala last year….and the color Cognac that I saw on Facebook somewhere (don’t remember who’s pick that was )I’m wondering if these are the first shots over the bow of a return to ‘muddy’ colors. While I like the ‘clean’ colors that are now so popular, soon it will be time to go in a different direction–because as soon as EVERYONE does something the creative people start looking for something different. Cobalt blues, jewelled purples, hot pinks. Oh! & bring it on…Lacquer. Thank you, thank you, thank you. I am so with you on the mighty “blue”! Coincidentally, just this past Thursday, I bought two gallons of a dusky BM blue called Van Duesen to paint my bedroom and adjoining den. Certainly not as “clean” or “lit” as some of the deep blues in this post but I have had a love affair with shades of this dark blue forever. Wish I’d seen your post first, as I had been waffling between the Van Duesen and more nuanced blues. However, your orange coffee table has inspired me to paint two old Mitchell Gold night tables that will bring that brightness factor in. Bianca- You will love Van Deusen blue!! My living room is painted in that wonderful color and has elicited nothing but ‘ohhs and ‘ahhhs’ when people saw it for the first time. It is not too dark, but wonderfully soft and warm and turns every piece of wood or painted furniture into a star. I have it paired with the my old( you can’t kill them!) Karastan Heriz patterned rug that Laurel showed in a vignette above, and the whole room is now a jewel box.. I think Laurel hit the color choice on the head! !